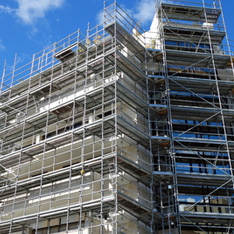 Near the end of a Building project, the site will require a thorough clean with strict timescales for completion and often last-minute changes to attend to, you can be assured that everything is left in order by using our Builders Clean Team. Your project manager will oversee all works to ensure management of the cleaning service and a supervisor will be present on all jobs. All our staff are fully trained & insured using the relevant products and equipment for the job, they will also all wear uniform and safety clothing while working on site. Our staff have received COSHH training in the use and handling of cleaning chemicals and will all have been briefed on risk assessments.